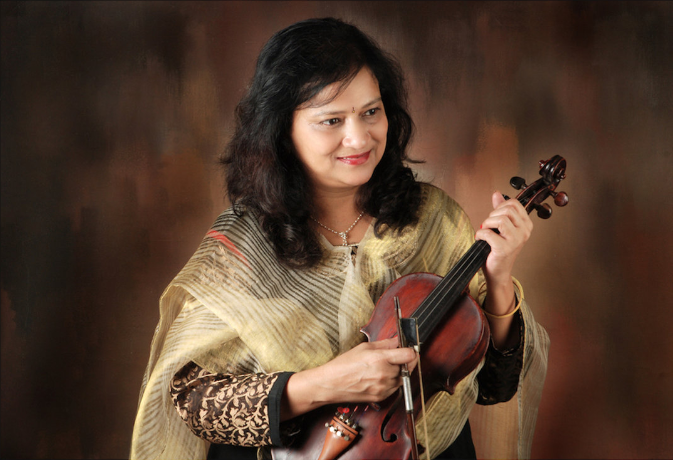 Based in Mumbai, Saylee is a virtuoso voice in North Indian Classical music. She has performed internationally and won numerous awards including the prestigious Surmani Award from the Sur Singar Samsad. Nitin Gaikwad's tabla guruji was Ustad Gulam Rasul Khan Saheb. The family's tradition of shenhai has long been part of the musical fabric of Pune. His father was Shenhai Maestro Pt Prabhashankarji Gaikwad and grandfather, Shenhai Samrat Pandit Shankarraoji Gaikwad was one of the greats of the 20th century. Sharanappa Guttaragi is a recording and performing artist and head of the tabla dept' at Panshakshree Gavai Matt in Gadag, Karnataka. A much favoured accompanist of vocalist Pt Ventakesh Kumar. Ramakant Paranjape is one of All India Radio's most prominent artists, the preferred accompanist of great Indian musicians, Lata Mangeshkar, Asha Bhosale and Pt Bhimsen Joshi amongst others; a master violinist, from Pune, Maharashtra. An early adventurer in fusion he has recorded and toured in Europe with Willy Shwarz and Warren Senders. Milind is an internationally renowned artist based in Pune. He is a senior disciple of the legendary Pt. Hariprasad Chaurasia and his main study is in Indian Classical and Folk Music. He has also studied Devotional Music, Jazz, Blues, Rock and Fusion-World Music.